World of Warcraft add on Wrath of the Lich King has become the fastest selling PC game of all time, beating the record previously held by Championship Manager 4 since 2003. As well as topping the PC games chart, the MMO title came number two in the over all games sales during its week of release – only missing the number one spot due to the simultaneous release of multiformat hero title Call of Duty: World at War, which has long been tipped to be one of the biggest selling titles of the year. 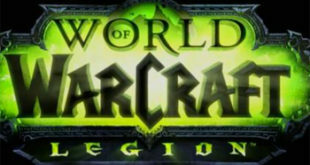 In a climate where PCs are often labelled as the lame duck of the gaming industry, Paul Sams, chief operating officer at WoW’s publisher Blizzard said the success of the title was largely down the intrinsic strength of the PC as a mulituse platform. "I don’t buy or subscribe to this ongoing discussion that the PC games are dying. WoW as an example has proven that to be incorrect. I think there’s always going to be a very big place for the PC – they are multi-use devices. Consoles are brilliant, but at this stage are not multi-use devices, or at least not compared to a PC. If you have a limited amount to spend people are going to go for PCs as there are so many other uses for it." However GFK-ChartTrack director Dorian Bloch argues that while the success is certainly one to be celebrated, PC gaming’s strength is too reliant on a small number of top selling titles. "It’s a great record for Warcraft – the Championship Manager record looked like it might never be broken. Does this mean the PC games market is a healthy one? Well, yes: so long as you’ve got something called World Of Warcraft or Football Manager or The Sims. Those games and a couple of others completely dominate the market, and others lose out. "It’s very top heavy, the PC games market. It’s dominated by the top five titles. Sales fall off pretty quickly after that. It’s very much skewed towards a few properties." How much money does World of Warcraft make?